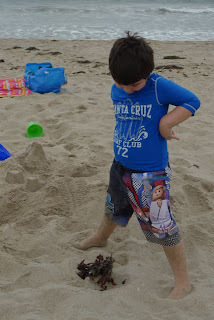 Children make us remember why picnics are important even though yes, sand is often involved. Interesting. I usually get my sand "on the side" and "to go." SANDwich. Yup. I see his linguistic point. I'm glad there weren't any witches.